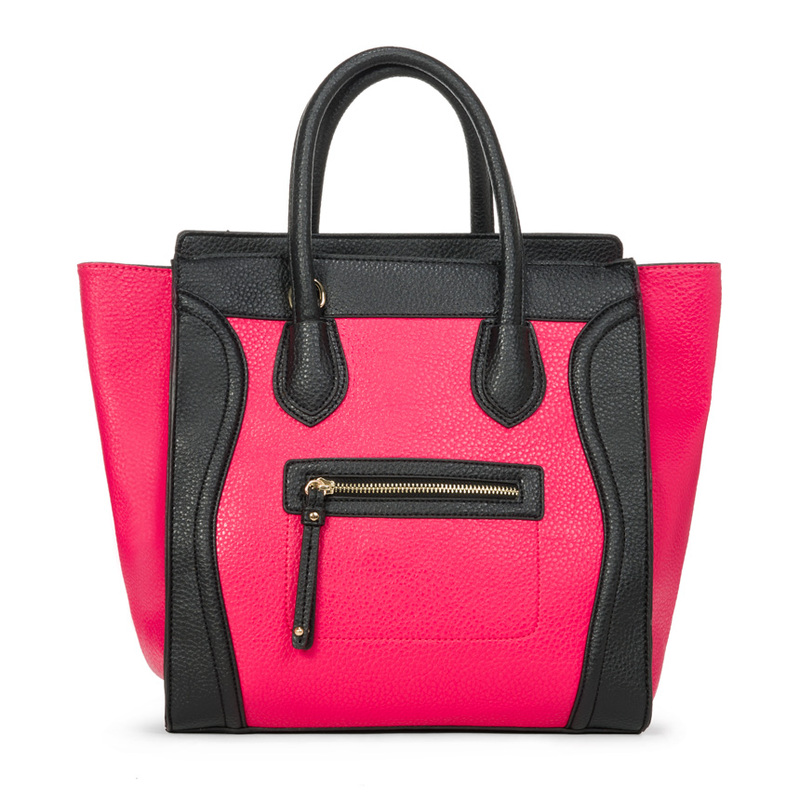 Just In: Celine Luggage Lookalike from JustFab! JustFab released Icon in three additional colors! Love the ivory multi! My heart skipped a beat this morning after receiving JustFab’s Sneak Peak notification e-mail. JustFab is really stepping up their game with their handbags! Yesterday, they released a Hermes Birkin look a like but they really hit the nail on the head with today’s release: a Celine Tri Color Trapeze inspired bag! It comes in two colors: Taupe Multi and Cobalt Multi. I’m getting the Taupe Multi for spring and summer. What color will you be getting? 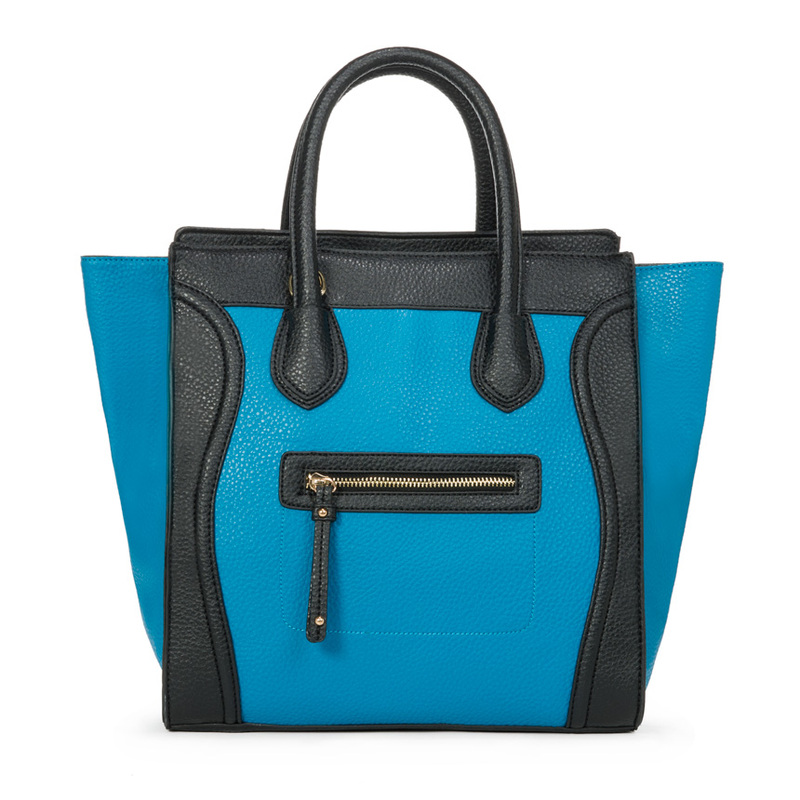 To purchase this bag for 50% off $39.95, use this link to sign up for JustFab. What I love about the birkin is that you can dress it up or down. Here are my favorite casual celebrity looks to give you an idea how to dress your JustFab Icon bag for this upcoming spring and summer season. If you loved Law from Justfab but found the bag too big or not structured enough for your liking, here’s a new Hermes Birkin inspired bag: the Icon! I have been waiting for JustFab to come out with something like this and I am happy to report that it comes in 4 colors; black, tan, pink, and green. I am ordering the tan, what color will you be getting? What differentiates this Birkin look a like from the ones you see at stands at the malls or any other online retailer is that JustFab’s quality is far more superior. I own several bags from them and they hold up and keep their shape. I always get compliments on the Power Player purse I own (which is a Michael Kors Hamilton Ostrich look a like). I love the textured material used on this purse rather than the smooth look most look a like bags used. Although the leather is not genuine on this purse, JustFab’s faux leather is close to the real thing. At $39.95 you can’t go wrong! Plus if you are a new member, you can get 50% off that price using this link. With prices like that you can buy all four colors! p.s. If you cannot find Icon in the new arrivals section, use the search feature and search for “Icon” in the search bar on the JF website. 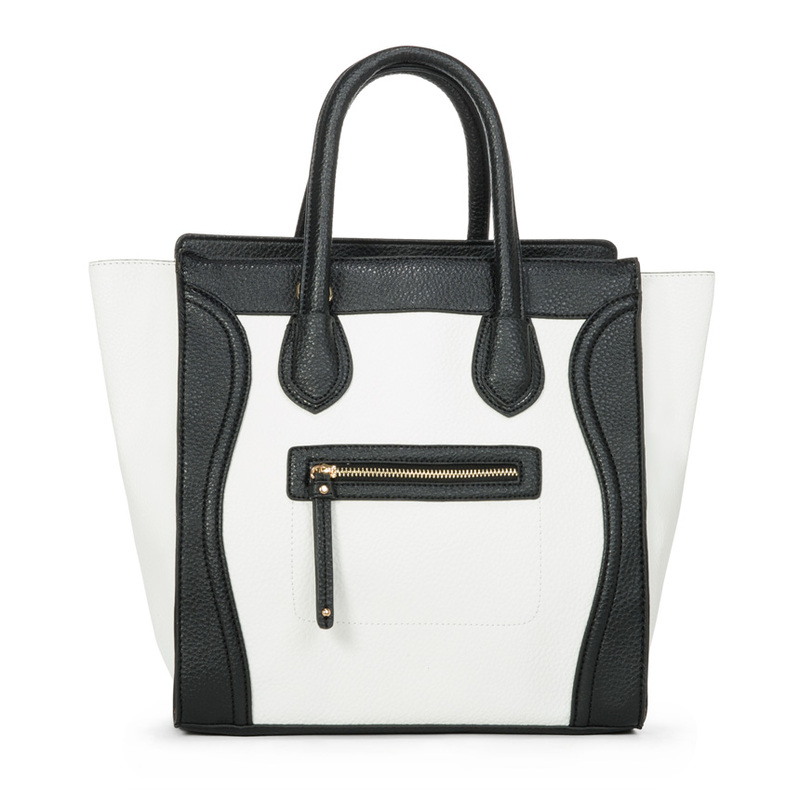 JustFab‘s new release for the month includes another Alexander Wang dupe: The Emile Satchel! JustFab has named it “Taj Mahal” and it’s available for $39.95. It’s a great quality bag with over 100 reviews on JustFab. If you are not a member yet, you can get this bag for 50% if you sign up here. The bag is available in black, tan and burgundy. I’ve been lusting over Michael Kors’ Hamilton Ostrich purse but didn’t feel like shelling out $395 for it considering it’s just a knock off of Hermes Birkin ostritch tote which has been copied by many designers so I was thrilled when JustFab came out with their own version; The Power Player. It comes in two colors: blush and orange. I ordered the blush and it’s a great neutral color to go with my outfits. I will be posting a review as soon as I receive it. If you want to buy this bag, sign up here to get it for 50% off. You have to type in “Power Player” on the search bar on JustFab’s site to purchase it. You’ve seen JustFab‘s version of the Isabel Marant sneaker wedges, now ShoeDazzle has also came out with their own version from the Designer brand Zigi New York. You can get these for $79 plus 20% off here. JustFab is offering $20 off if you spend $75 of more for Black Friday! JustFab.com Black Friday Sale Preview! Click here to access the exclusive JustFab Black Friday Sale preview!